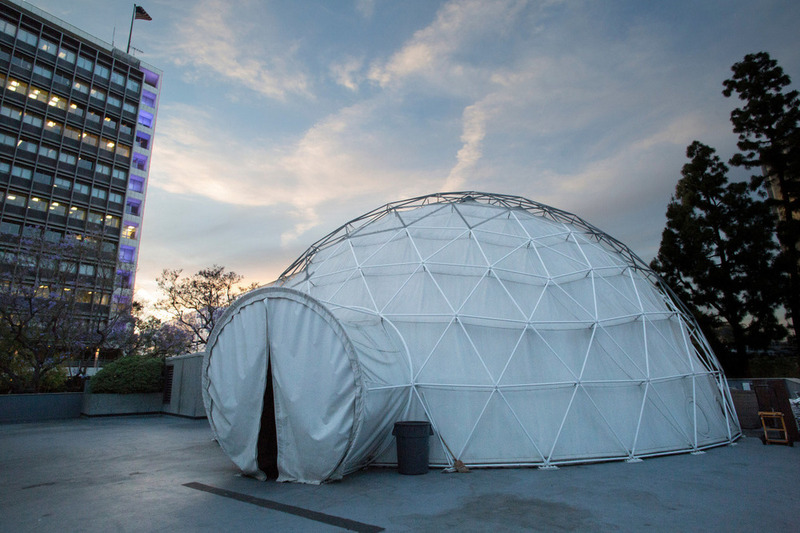 A group of eight CalArts students were selected to produce unique work for a two-night show at the Vortex Immersion Media dome. 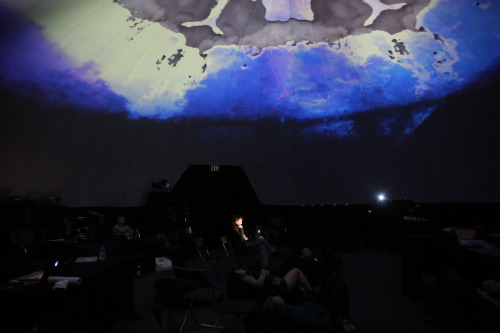 It is a 360° geodesic dome that allows for surround projections and sound on the interior walls, breaking the barriers of conventional cinema viewing and creating an immersive environment for its viewers. Steady in Motion is an 8-minute immersive film that stems from ideas of displacement — of time, space, and body. Fleeting images of disembodied limbs merged with historical backdrops in South-East Asia travel across the dome, representing the disjunction between sense of place and present. It personally speaks to the artist's own amalgam of reconstructing cultures (having lived in different countries) - the falling between two places and never settling in either. In this case, the dome acts as the subconscious dream-state of the artist, ignited by liquid visions of the slightly familiar yet, foreign. This piece was filmed and produced by Jamie Tan, with sound by Dalamig. It was generously funded by the CalArts Film and Video Grant, the CalArts Dean Grant, the CalArts Student Affairs Project Grant and the CalArts Graduating Students Grant.